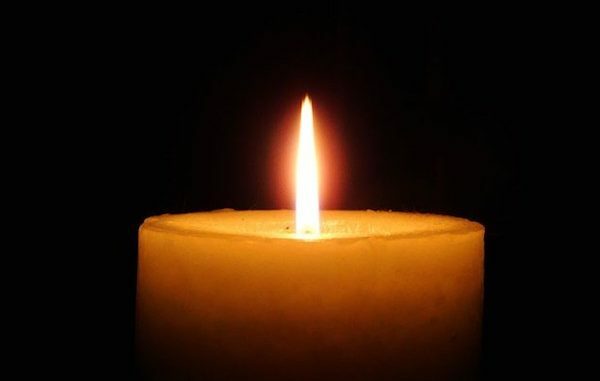 VERO BEACH – Virginia Alice Brackley Piccirillo passed away peacefully on January 30, 2019 surrounded by her family. She was born April 23, 1927 in Strong Maine to Elteene Dill Brackley and Elmer Brackley. She earned her bachelor’s degree in English Literature from Colby College in 1948. She married Salvatore Vito Piccirillo June 24, 1950. Her life was a celebration of family, friends, gardening, and travel. People always noticed her gracious smile and welcoming manner. Friends visiting the house were always welcomed with tea and accompaniments and often impromptu meals. Virginia was an avid gardener and fed her family of 14 children from vegetables grown from her garden. She was blessed to have been raised on a thriving dairy and vegetable farm which was in her blood forever. She was a constant knitter and produced many mittens and hats for children, grandchildren, and great-grandchildren. She crocheted many blankets and coverlets for wedding gifts. Many friends were made on their long winter trips to the Caribbean, Mexico, Hawaii, Europe, Asia, and in retirement winters in Vero Beach. All who visited her home were greeted with a beautiful smile and eyes, warm heart, and loving hand (she always reached for your hand) with love. She was always generously sharing her home, garden veggies, and preserves. She will be remembered as a loved one to be cherished. She is survived by her husband of 69 years, Vito Piccirillo, and 13 of 14 loving children and their spouses: Mary Piccirillo and Richard Kent, Anna and Tom Loewe, Tony Piccirillo and Sara Qua, Judi McClellan, Joe Piccirillo, Alice Piccirillo wife of deceased son Robert, John and Susy Piccirillo, Teresa and Keith Bogdanovich, Peter Piccirillo and Stella Pang, Paul Piccirillo and Laura Nicholson, Tom and Meg Piccirillo, Joanna and Salvatore LoCascio, Camille Piccirillo and Tony MacLean, Phil and Heather Piccirillo, 31 of 32 grandchildren, and numerous great-grandchildren. Virginia was predeceased by her only sibling Robert Brackley. A Mass of Christian Burial was held on February 4th at Saint Anthony’s Church, Shirley, MA, followed by burial in Massachusetts Veterans Memorial Cemetery, Winchendon, MA. In lieu of flowers, donations may be made in support of her love of nature and the environment to NationalAudubonSociety.org.